1. Washington has not had a single lead change all season. I did not even conceive that such a thing was possible, but in every single Skins game this season, the team that has scored first has never relinquished that lead, and has gone on to win. It’s even weirder because the Skins aren’t very good or very bad. It’d be one thing if they were clearly superior or inferior to opponents, but they’re solidly 5-3, and presumably entirely capable of letting a worse opponent score first before catching up, or of getting an early lead on a better opponent before being chased down. But no, through eight games, you would have been perfectly correct if, upon the game’s first score, you declared “Welp, this one’s over,” and changed channels. 2. The Chiefs haven’t lost a coin toss all year. They’re 9-0, and you can extend that to 12-0 if you include the last three preseason games. The chances of that happening are 0.0244 percent. 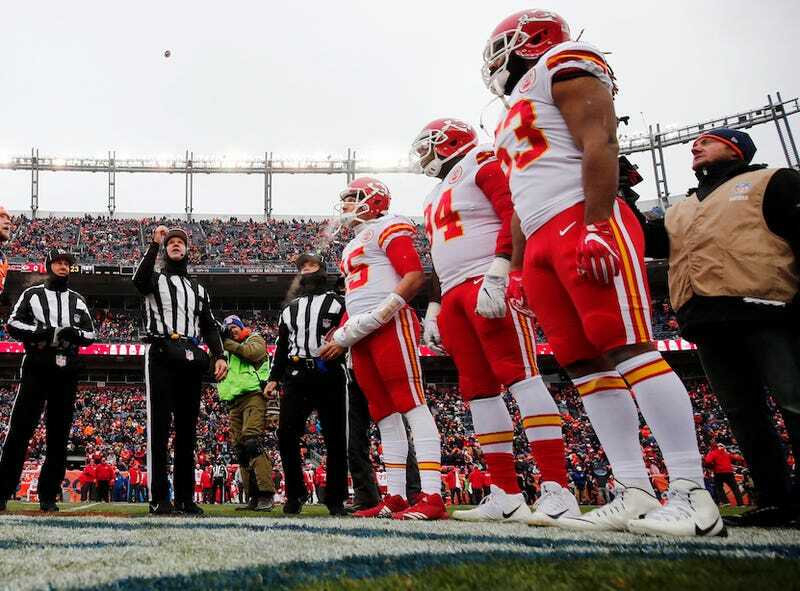 The coin toss is “one of the most nervous points of the whole game for me right now,” Patrick Mahomes joked, before admitting that it’s just a silly thing that doesn’t actually matter. But he did acknowledge that every single player is fully aware of the streak. Stats on NFL coin flips aren’t kept, but media coverage identified some even better streaks in recent years. The 2016–17 Bears and the 2004–05 Lions each won 14 in a row. The 2012 Panthers lost 13 straight. These two stats replace my previous favorite weird NFL stats: 1) When the Chiefs somehow went 31 years without winning a game started by a quarterback they drafted, and 2) When the Chiefs somehow went the entire 2014 season without a wide receiver catching a touchdown.